University of Miami Frost School Flutists fête patrons with a little night music as they arrive for the reception at the historic Doc Thomas House Keystone Patio; a featured bubbly is accompanied by passed Whisk hors d'oeuvres. Guests then wend their way down the lantern-lit trail through the protected native hammock for the main event. Limited seating for just 36 under the charming chickee hut assures the experience is both delicious and intimate. Presenting Sponsor Whole Foods Coral Gables provides the ingredients while Whisk Gourmet’s chef/partner Brendan Connor deftly orchestrates marvelous 4-course menus populated by local, regional and sustainable ingredients. These various components are perfectly paired with distinctive, ultra-premium wines donated by the evening’s featured winery or wine region showcased at their best in Riedel crystal stemware courtesy of Joy Wallace Catering. Because of its limited scope, Walk in the Woods with Wine & Whisk is not publicized through conventional media channels. 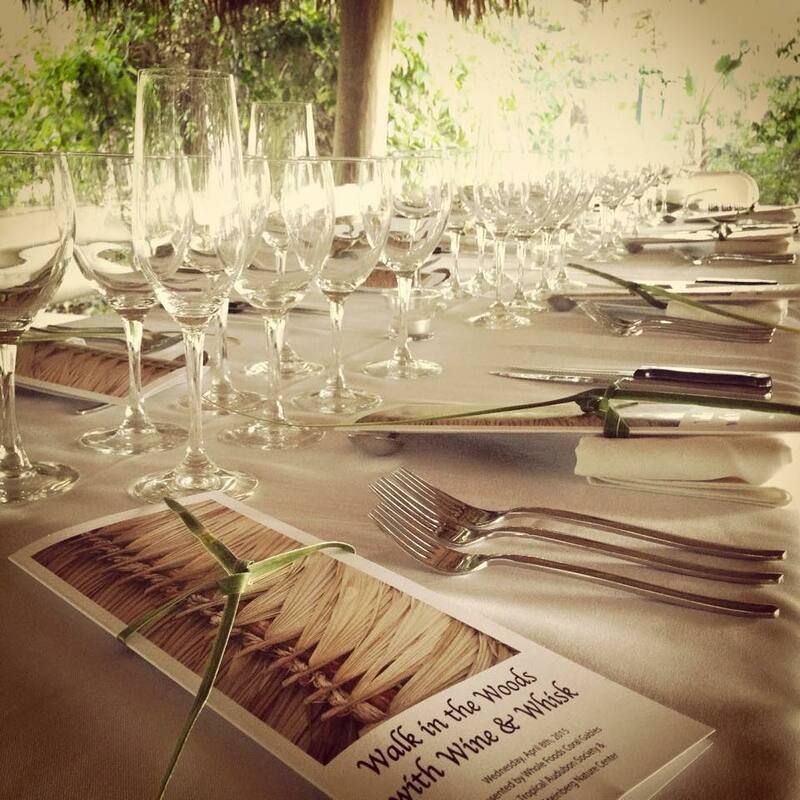 To reserve a seat or a place on the wait list, write to events@tropicalaudubon.org. Net proceeds benefit capital improvements to TAS’s National Historic Landmark headquarters and restoration/preservation of the property’s near-native habitat.